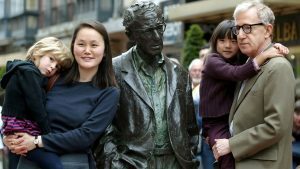 Learn more about Soon-Yi Previn and her love story with her husband Woody Allen. On Aug. 31, 1992, in an interview by Walter Isaacson for Time magazine, Soon-Yi Previn defended her relationship with Woody Allen. A. This October I will be 22. Look at my driver’s license and passport. 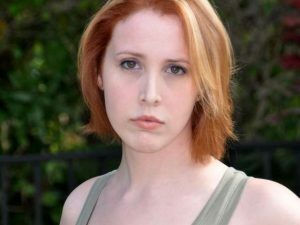 I was not raped, molested or manipulated as Mia has hysterically charged, nor am I retarded or mentally slow as she would have you believe. I am at college majoring in psychology, and although she cut off all my education funds and living money, I have made arrangements to complete my studies and graduate. Q. Did you consider Woody Allen to be a father figure? A. To think that Woody was in any way a father or stepfather to me is laughable. My parents are Andre Previn and Mia, but obviously they’re not even my real parents. I came to America when I was 7. I was never remotely close to Woody. He was someone who was devoted exclusively to his own children and to his work, and we never spent a moment together. We rarely ever spoke, and were polite but uninterested in one another. The fact is I really had no interest in knowing him better, nor he me. Q. When did your relationship change? A. When I was 20 and he had no one to go to a basketball game with and I wanted to see one. By that time his relationship with Mia was long done, and they were going through the motions. They were friendly but rarely went out, and apart from when they worked together or played with their children, had little to do with one another. Q. What is your relationship with Mia Farrow? A. I don’t go home because Mia can be and has been violent toward me. I will not go into details, but her treatment of me was hardly maternal, even given our current problems. She is not who she pretends to be, certainly not the kind of mother (people think), and while my brothers and sisters are still dependent on her, they will say things and pretend to feelings I know full well not to be true. There is no question I owe Mia a great deal for adopting me. For that gesture I still love her. But responsibility does not stop at the act of adopting. I truly regret Mia chose to burden all the children with these adult problems. On Aug. 30, 1992, Newsweek had also published a statement by Soon-Yi Previn. In the cacophony of dueling acrimonies rising from the Woody-Mia imbroglio, the one crucially silent voice thus far has been that of the young woman at the heart of the storm, Soon-Yi Farrow Previn, Mia’s Korean-born adopted daughter who has become the new love in Woody Allen’s life. In the following statement given to NEWSWEEK by Allen’s publicist, Soon-Yi finally speaks out for herself. 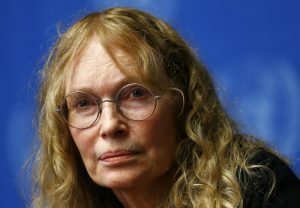 Soon-Yi Previn has told friends that an enraged Mia Farrow hit her, screamed at her and cut up her clothing after learning she was sleeping with Woody Allen, Farrow’s longtime lover, a New York newspaper reported Friday.